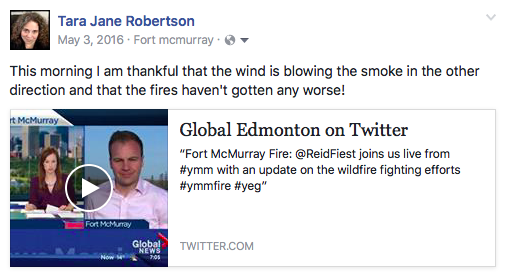 I wasn't even a little bit worried about us having to evacuate at this point. After all - there was a whole river in between where the fire was and our home. We were conscious of what was going on but fairly unconcerned. 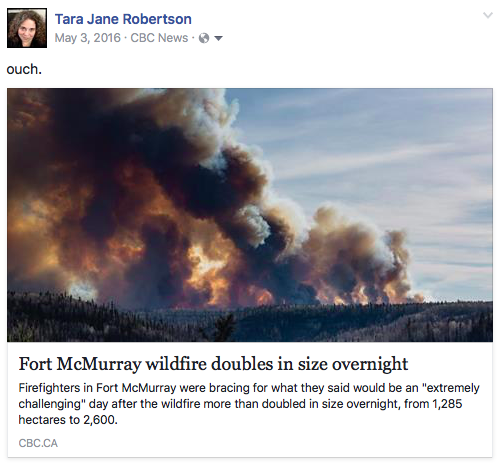 Forest fires are common in our area and when I woke up to blue skies I figured the danger had passed. I spent the morning cleaning house and occasionally checking social media to see what was going on. 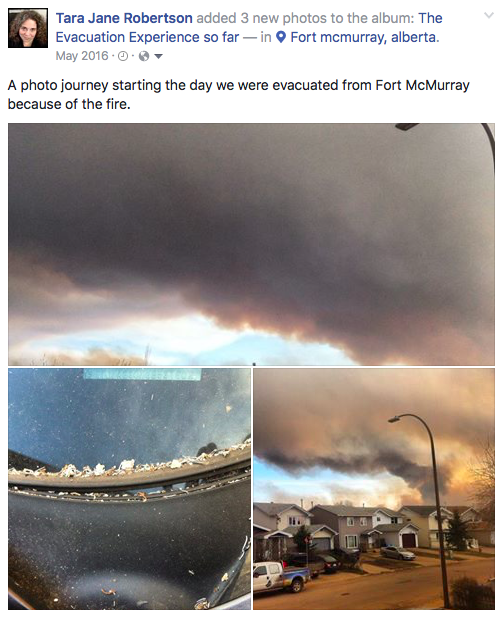 I took this picture about 5 minutes before I heard that my daughter's school was being evacuated. 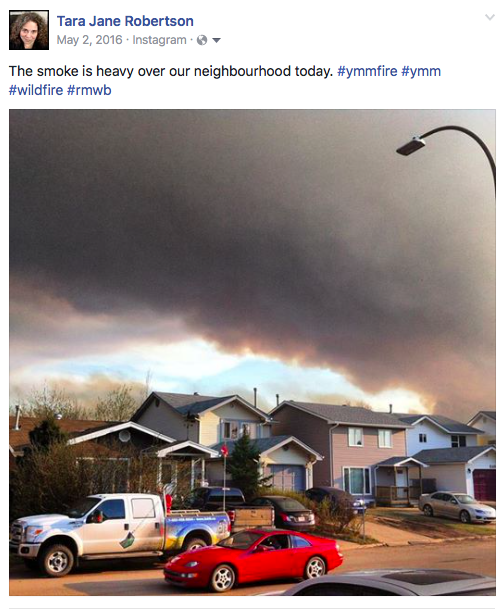 Our neighbourhood wasn't even on a voluntary evacuation order yet. I was pretty sure I'd get to come home after picking up Olivia. On the off chance I wouldn't get to come back to the house I grabbed our laptops and the cat on the way out of the door. 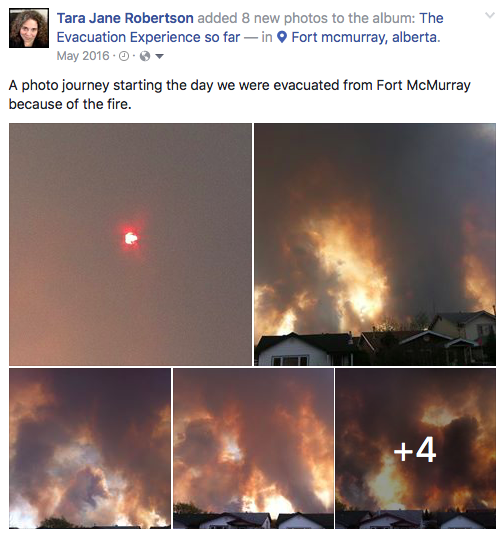 It's a good thing I did because by the time I left the elementary school our neighbourhood was being evacuated and I needed to pick up the boys from their school. It took over an hour to get to the boys' school. The drive normally takes me less than 15 minutes. I picked up our boys and my friend Amanda's son. I took him to his grandparents house and got back on the road out of town. 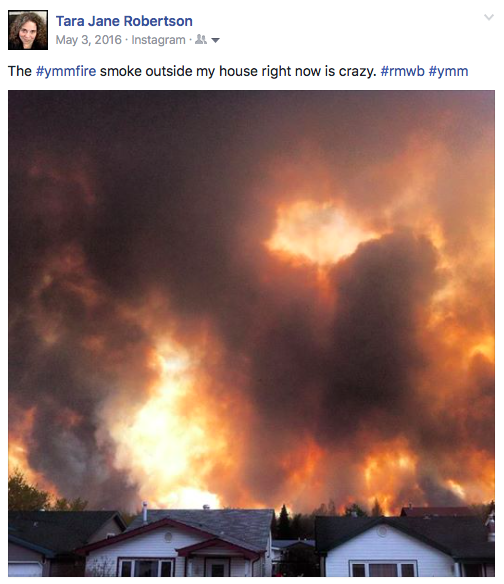 Every few minutes more neighbourhoods were being evacuated until eventually the entire town was under mandatory evacuation. It took several hours to get from the boys' school to the highway. We met Doug on the side of the road and headed North. I was incredibly relieved to have Doug with us. We stopped for gas at the only station and it took well over an hour to get gas, a few bottles of water and a couple snacks for the kids. We were so very relieved to arrive at the camp - safe and together.